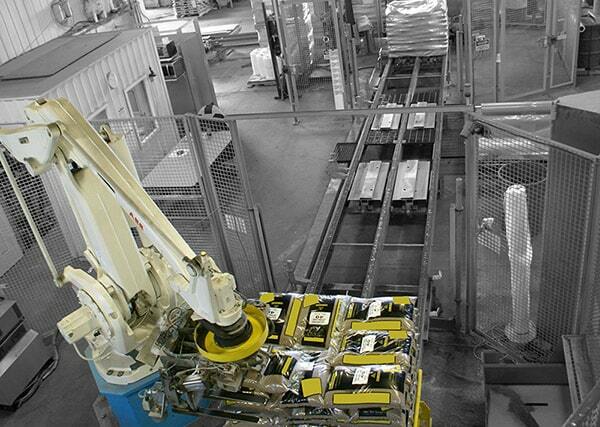 About ROBOVIC Inc. | Palletizing, Bagging and Tote Filling Solutions. Our 30 years in the automation field enhanced our knowledge in order to develop high precision systems and quality expertise for robotic integration of end of line production. The company designs, builds and installs a complete range of palletizing solutions, bulk/tote filling systems and also integrates Statec Binder baggers. Analyzing and understanding the clients’ needs are the foundation of all our projects. Robovic’s solutions respond to all of our clients’ needs regardless the field of activity : Agri-food, industrial, consumer goods, chemical, industry, food and beverage, aggregate etc. Furthermore, Robovic commits to being an innovative and reactive partner by offering reliable, flexible and profitable solutions. Quality, integrity and collaboration are at the heart of our priorities, all within respecting deadlines and budgets.